Under existing Louisiana law, only contingent fee agreements must be in writing. See Louisiana Rule of Professional Conduct r. 1.5(c) (providing that “[a] contingent fee agreement shall be in a writing signed by the client”). As to all other types of fee agreements—including hourly-fee agreements and fixed-fee agreements—no writing requirement exists, although the rules suggest that written fee agreements are “preferable.” See id. r. 1.5(b) (providing that the rate of the fee “shall be communicated to the client, preferably in writing”). (b) The scope of the representation and the basis or rate of the fee and expenses for which the client will be responsible shall be communicated to the client, preferably in a writing approved bv the client, before or within a reasonable time after commencing the representation, except when the lawyer will charge a regularly represented client on the same basis or rate. Any changes in the basis or rate of the fee or expenses shall also be communicated to the client in writing within a reasonable time. Is This a Good Proposal? Yes. 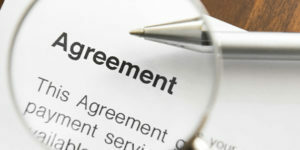 It is fairly obvious that agreements as important as lawyer-cleint engagement agreements should be in writing. As the comments to ABA Model Rule 1.5 note, “it is desirable to furnish the client with at least a simple memorandum or copy of the lawyer’s customary fee arrangements that states the general nature of the legal services to be provided, the basis, rate or total amount of the fee and whether and to what extent the client will be responsible for any costs, expenses or disbursements in the course of the representation.” See ABA Model Rule of Prof’l Conduct r. 1.5, cmt. 2. After all, such a “written statement concerning the terms of the engagement reduces the possibility of misunderstanding.” Id. Requiring that the terms of a lawyer’s engagement and the scope of the lawyer’s representation be in writing will not only serve to reduce the number of lawyer-client disputes, but also help to resolve those that unfortunately do arise. The court should adopt the proposal.